These women below all inspire or influence my own style and I thought I would share them with you. 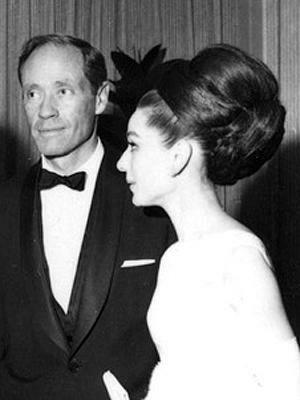 The famous Audrey up-do. I love the height! 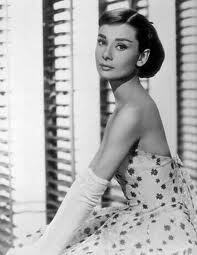 I love the classic, elegant look and am always aiming for that . The catlike eyes, the smile. 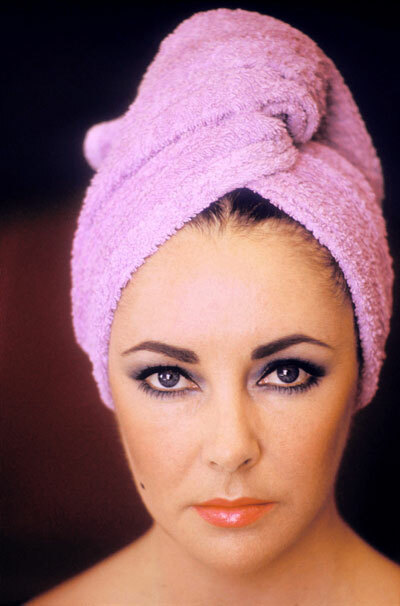 This makeup look is so iconic. I have always played up my eyes more so than my lips, I have really long eyelashes and expressive eyes so I try to make the most of what my best friend calls ‘flirty eyes’. I think it also works with the classic look I aim for when I am going to an event such as a wedding. Bold makeup and I am also inspired by her eyes, even with the red lipstick I am drawn to the way she has made her eyes stand out. 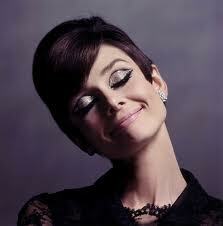 She has strong eyebrows too, like Audrey which I think frames the face and makes someone take notice. Drew Barrymore. This woman is a huge inspiration to me. She is so comfortable in her own skin and firmly stands by who she is. She has said “You are your own person with a right to make decisions that sometimes won’t please other people”.. I think this confidence comes through in her style. She also has such a great almost effortless girly quality. She embodied a womanly look, embracing her curves. 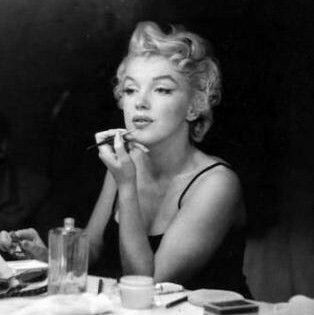 I read in an article that in today’s society she would be ‘too big for hollywood’. I think she is amazing. She wrote poems and manuscripts which have since been collected and put into books, what I have read shows how smart and insightful she was. She has so much energy which comes across in all of her photos. She always manages to look trendy, amazing and confident. I enjoy looking at Lauren’s style because she also follows a classic look as a basis to forming her outfits. Out of all the episodes on her show she never wore the exact same outfit twice, she styled herself and managed to put a twist on or create new outfits. Looking fabulous every time. I think it is important to have people who inspire your own style or fashion choices. It helps to highlight what kind of clothes or looks you like personally and makes it easier to then go and select clothes and accessories which fit that style. I’m off to look through one of my favourite little boutiques, it’s my birthday dinner this week- so I want to look and feel amazing. Fashion is absolutley a way to showcase your mood and personality. If you want someone to be able to look at you and get a certain vibe- flirty, girly, approachable, easygoing, risk taking, the important thing to consider is the simplest way to get the message across. You don’t want someone to look at you and feel confused. For me it all depends on what I am doing or where I am going combined with how I feel that day. I always like to put my own spin on things, I am a big follower of using colours to make an impact. I don’t like to match my shoes to my outfit, I like to take a chance both in life and with my clothes. A few weekends ago I went to an outdoor rock concert, the weather was hot, I felt good and despite my usual ‘uniform’ to that type of show e.g. band shirt and pants with closed in shoes, wild hair I took a different turn. I wore mid-thigh denim shorts, black short-sleeved wrap shirt, gladiator sandals, massive sunglasses and straight free hair. I felt fantastic and had such a great time. There is little worse than putting on an outfit, getting to your destination and realising you are uncomfortable or don’t like how you look in what you have on. I find this will ruin my day/night very quickly, I start to feel self conscious, uptight and annoyed.. really not the kind of person anyone wants to spend time with! Another thing that I think is a big fashion NO is when people- and I mean mainly girls- ask each other what they are wearing. I don’t mean in the sense of working out an acceptable dress code (especially if you have never been to the venue before) or if the weather is creating clothing choice chaos, no I mean ‘lets ask each other what we are wearing so we can look exactly the same’. It doesn’t make sense to me. Why would you want to go out and look the same as everyone else that you are with? Let me tell you it will be confusing for the guy who thinks your cute, can you not dress yourself? Or do you just not have a personality? If you look the same he may also mistake you for your friend. I totally agree with ‘ok, what sort of thing like casual top and jean style clothes or dresses/skirts’ but then once you have determined that-if you need to- this is your chance to put your own spin on it!! If all the girls wear flats but you want more height (and coming from a vertically challenged person its a big benefit!) WEAR the heels, if you normally wear blacks/greys/blues but your feeling festive break out that hot pink or sunny yellow cocktail dress. Clothes are not meant to be boring, I love it when I wear something and I stand out just that bit that everyone wants to know where I have gotten it from. High-end, opshop, online retail, chain stores, DIY projects…there is this massive industry that shows trends whilst also supporting individuality and mixing and matching. Get out there. Embrace it, Feel it, Wear it.